A concrete pool deck can range from the industrial grey concrete you see at some public pools, to stamped concrete that looks like real stone. Many stamp patterns are available, including seamless stone, slate, flagstone and brick, to name a few. Mid Atlantic Pool Service installs concrete pool decks in Baltimore County, Howard County, Harford County and Anne Arundel County. We can install your new concrete pool deck at the time we install your new inground pool, or at any time that you are looking to upgrade the look of your pool area. If we’re tearing out an old pool deck, we will haul away and dispose of any construction debris. Wide variety of colors/stains to choose from. Stamped concrete frequently has two colors, giving it a unique antiqued look. A disadvantage of concrete is that it will eventually crack. Also, it will need to be re-sealed very 2-3 years to protect it. When we install a stamped concrete pool deck, we mix in an anti-skid agent with the sealer, to prevent a slippery situation. A concrete pool deck will cost less that a paver pool deck, at least in the short term. Both pool decks are attractive, so which kind of pool deck you go with depends on your tastes and budget. . A third option is composite decking for your pool deck area. This is the same decking material used for outdoor decks. We are licensed and insured with the state of Maryland, and would be happy to provide you with references. We pride ourselves on quality work at affordable prices. 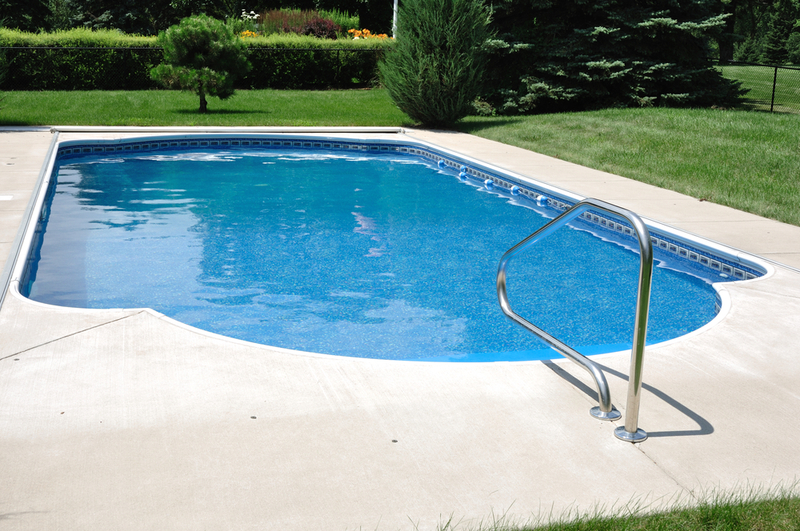 Call Mid Atlantic Pool Service today at 410-598-9740 for pool decks, pool installation, pool repair and more!